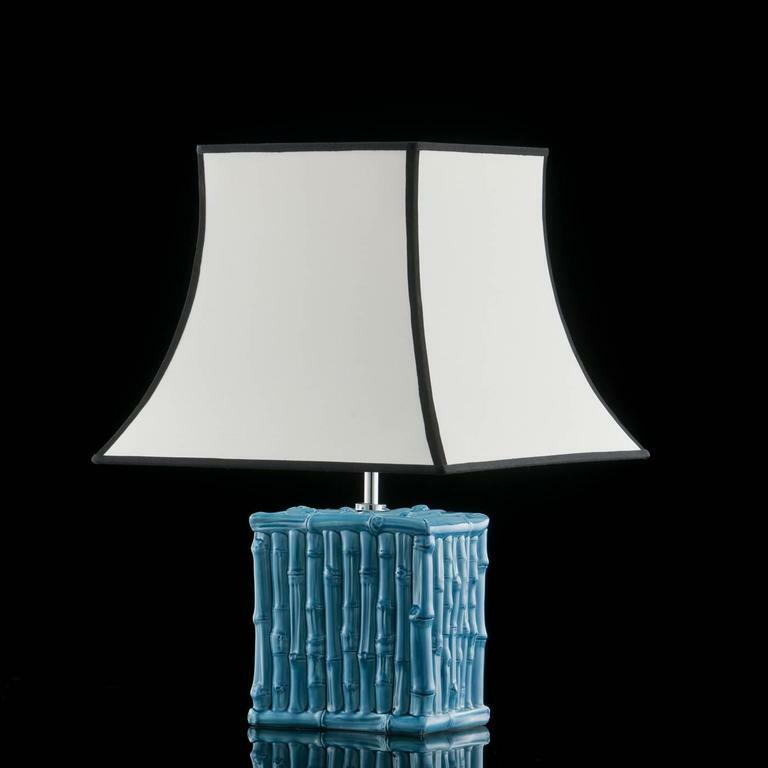 The ceramic stand of this striking lamp reproduces a structure made of bamboo sticks with a vivid turquoise color. The elegant white shade is accented with black giving the piece an elegant finish. 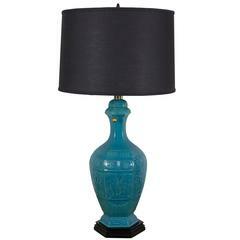 Pair of Italian circa 1930s turquoise colored “ripple” texture ceramic lamps with wooden bases. Measurements: Height of body 19.5? Diameter 6". 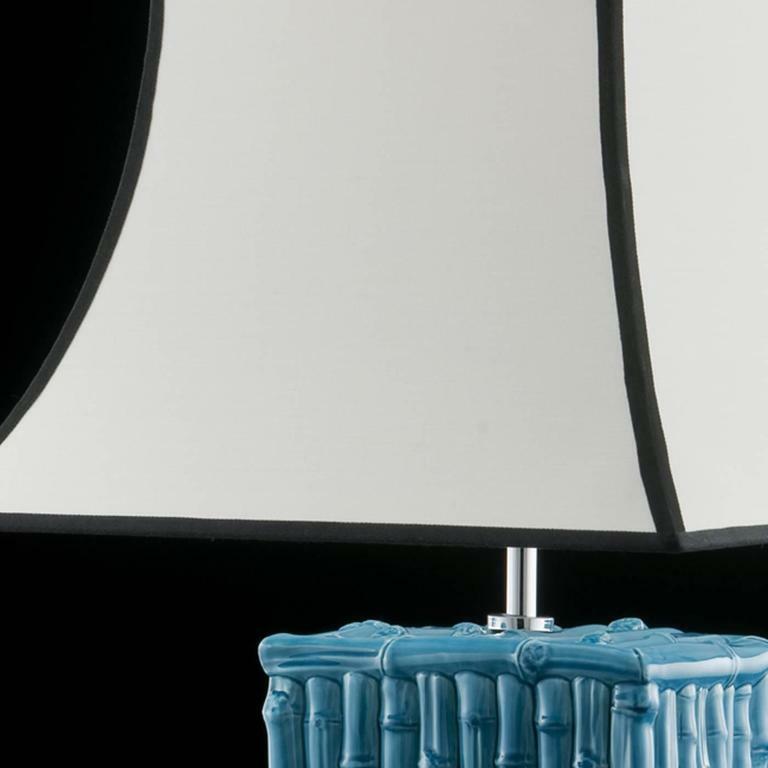 Turquoise lamp with Asian ispired motif. Textured and painted turquoise ceramic lamp, circa mid-20th century. Woven dry bamboo lamp set on wooden base. Shade not included, circa 1940s. 19th century Chinese turquoise-glazed porcelain vases mounted as lamps. Measurements: Height of body 17" Width 7" Depth 7".